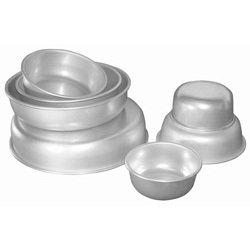 Brand: Fat Daddios FD-PCTOR123 Units: 1 Dimensions: 12" diameter x 3" deep Cake pan with rounded bottom edge. Note: This listing is for one pan only. Cake pan with rounded bottom edge.